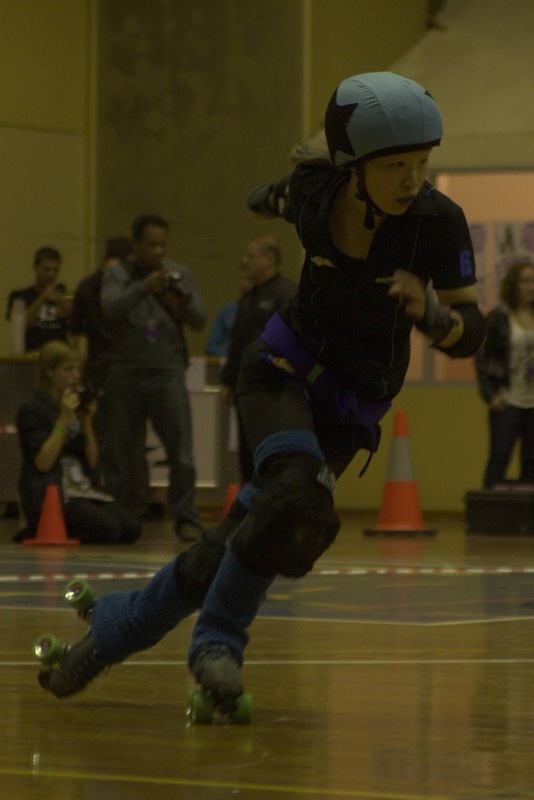 I went to the Derby on the weekend, with the Black ‘n’ Blue Belles against the Brindabelters. It was a interesting match of fast and slow tactics. Shortstop duck and weaved (and occasionally apex-jumped) through the pack. There’s no wonder that she’s on her way to the world tournament. The BnBBs came out waaaay in front with 230 points against the Brindabelters 99. Here are some photos Ve took while at the match. 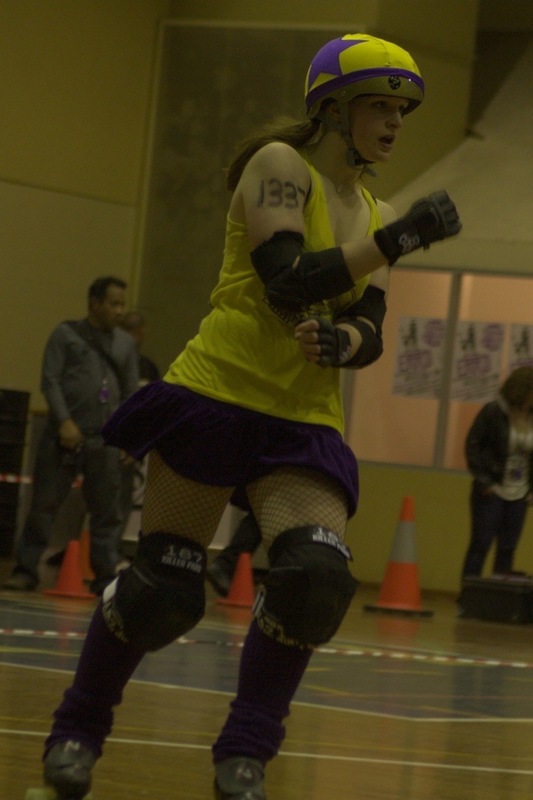 This entry was posted in sports and tagged photography, roller derby, ve. Bookmark the permalink.